Electric 4 All is Los Angeles’ premier electrical company when it comes to residential electrical service. We all know the concerns that arise when you need work done in your home. Will the work be done safely? Will it be performed quickly? Will it cause disruption to my family’s home life? And, most importantly, will it come in under budget? Why Should I Choose Electric 4 All for My Residential Electrical Service? At Electric 4 All we realize your concerns and we do our best to make the project as stress free as possible. Safety is our number one concern when we are working in your Los Angeles home and we go out of our way to make sure that each one of our technicians realize this and do what is required to take every precaution as far as safety is concerned. We are prompt and timely, and we make sure that if we are working in your home, our technicians are showing up when they are supposed to and performing the work efficiently. We realize time is money and we watch your bottom line when it comes to making sure a job is completed quickly, and within a given time line. We also try to keep costs down with our guarantee to beat any price you may have been quoted. 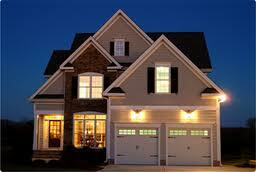 When it comes to residential electrical service, we are also very skilled and versatile. We offer a resume that includes services such as home lighting design, landscape lighting, ceiling fan installation, smoke and carbon monoxide detectors and surge protection to name a few. We do our best to offer all the conveniences modern technology can afford when it comes to electrical services for your Los Angeles home. Electric 4 All, Inc services not just Los Angeles, but the surrounding areas as well. So if you are in need of residential electrical service, please don’t hesitate to call us first. We offer free estimates and round the clock emergency services. We look forward to hearing from you.